Markham, ON -- Maestro PMS announced 4 full-service independent properties installed Maestro Multi-Property Management and Maestro Front Office to strengthen guest service and group processes, refine operations, and optimize profitability. New Maestro PMS clients include 3 Forbes Triple 5-Star Resorts in Rhode Island and a casino resort destination in Bay St. Louis, MS. The Maestro Enterprise Property Management hotel software suite of 20+ solutions is the industry's most robust and well supported system for independent hotels, resorts, and multi-property groups. Click here for more information on Maestro PMS. 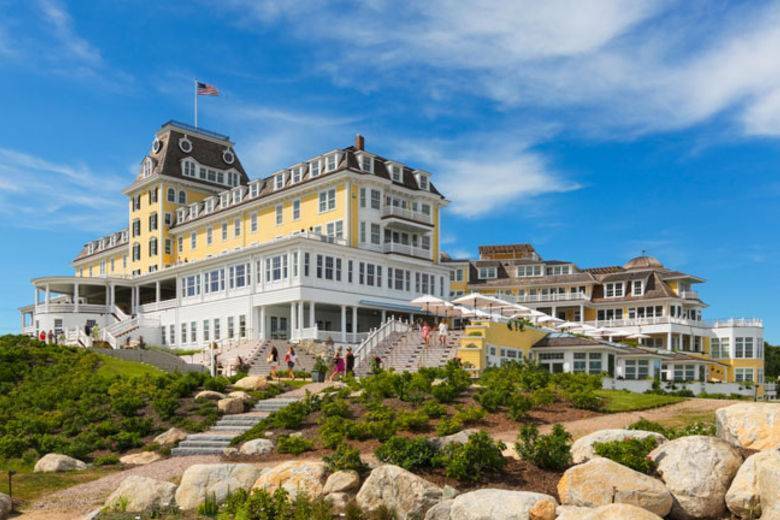 Ocean House, Watch Hill Inn and Weekapaug Inn in Westerly, Rhode Island installed Maestro Multi-Property Management with Sales & Catering, Spa Activities and Management, Owner and Member Management and Silverware POS. Ocean House earned Forbes' Five-Star designations for each of their hotel, spa and restaurant operations and a AAA Five-Diamond rating. Weekapaug Inn, operated by Ocean House Management, LLC, earned the Forbes' Four Star designation and AAA Four-Diamond rating for the hotel. "Our three luxury properties provide highly personalized guest services, amenities and unique group and family packages. We selected Maestro Multi-Property because we could customize its processes for our guest-focused, high-touch operations," said Mary Arcuri, Group Director of Reservations & Revenue. "Maestro enables our team to coordinate our Five-Star standard of guest care for all our properties. Maestro's Spa system manages OH! Spa salon guest appointments and professional services. We track our guest preferences and mine information with Maestro Analytics to improve guest communications and optimize profitability." The Silver Slipper Casino Hotel in the MS Gulf Coast city of Bay St. Louis installed Maestro Front Office Property Management System in its new hotel, opened in May 2015. Baxter Lee, Director of Sales Marketing and Hotel Operations, said, "We selected Maestro because it interfaces with our Konami gaming system and other 3rd party property solutions for fast professional guest service. This makes it easy to quickly provide hotel rooms for our playing guests. Maestro also had solid recommendations for its service and support. Now that we have used the Maestro PMS since our opening, we can see why. Maestro's Diamond Plus Service for installation, training and support is excellent." Warren Dehan, Maestro PMS President said, "Many properties upgrade their property management systems as they grow. In some cases, their tech suppliers charge a substantial fee for these upgrades. This frequently causes operators to evaluate other system options. Maestro PMS includes its version upgrades for clients in its annual maintenance with Diamond Plus Service."